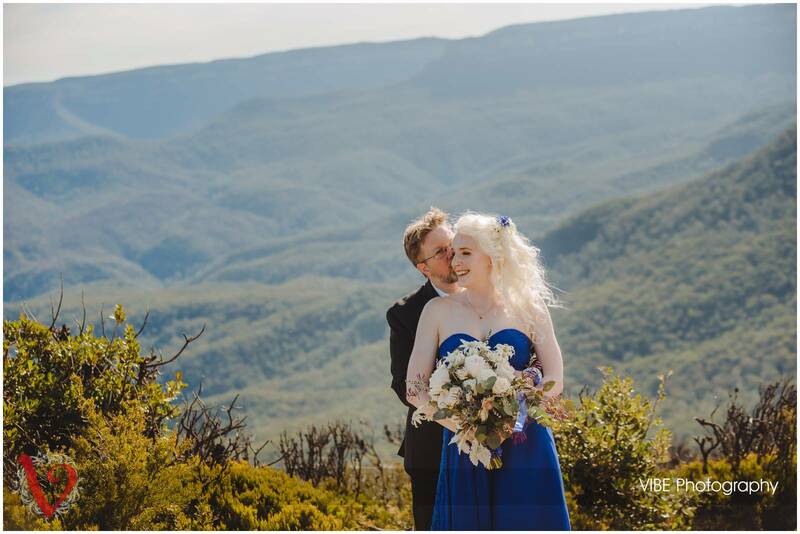 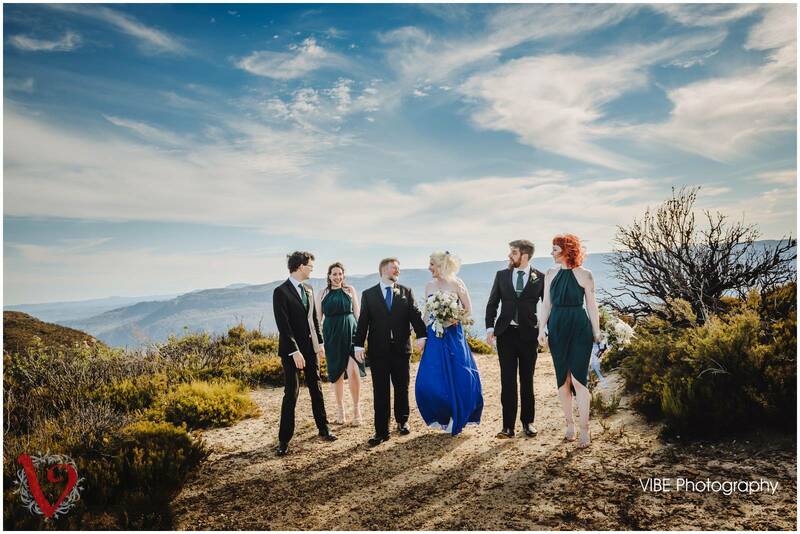 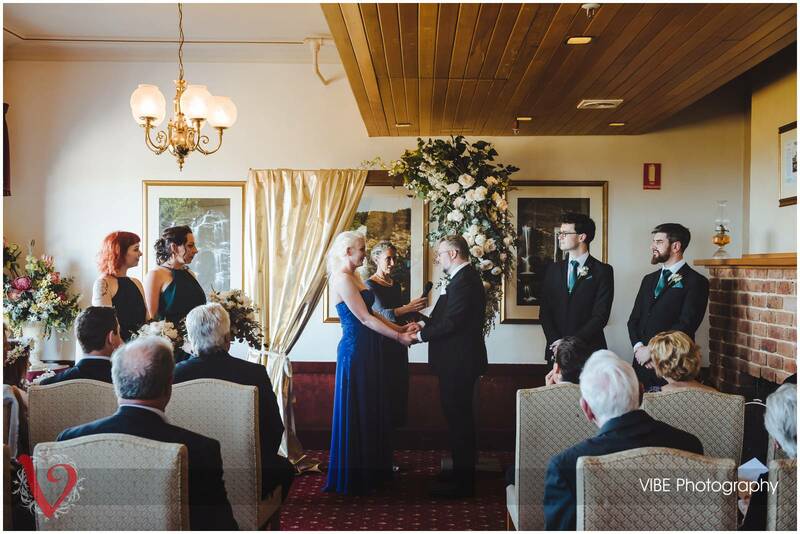 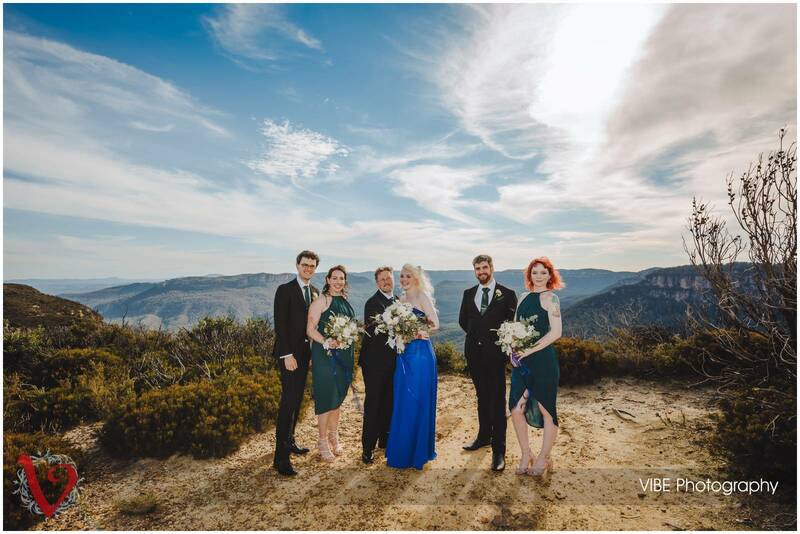 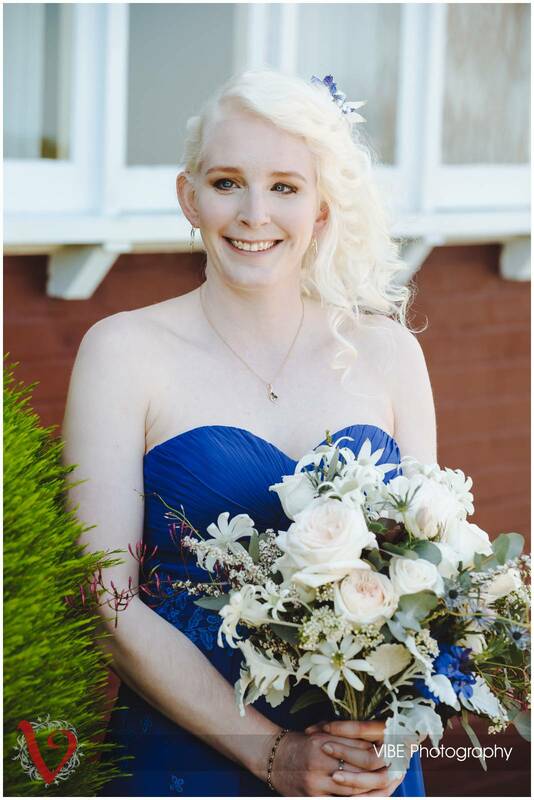 Emma and Andrew tied the knot in the beautiful Blue Mountains. 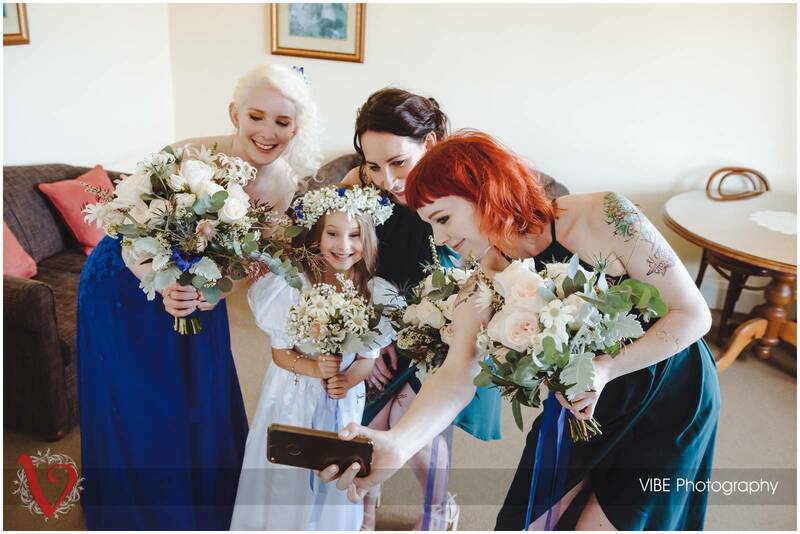 I first met Emma at her sister Bec’s wedding around a year earlier. 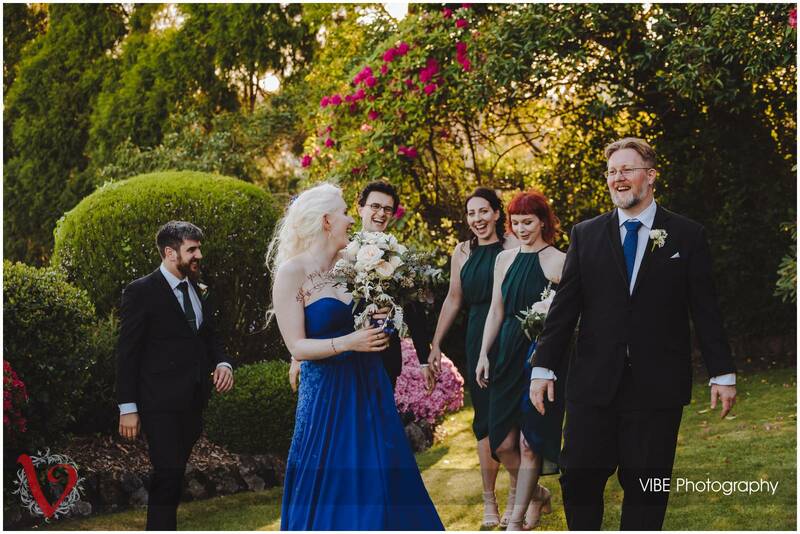 When we heard Emma and Andrew were planning their wedding and they also wanted myself to be a part of their day I was super excited. 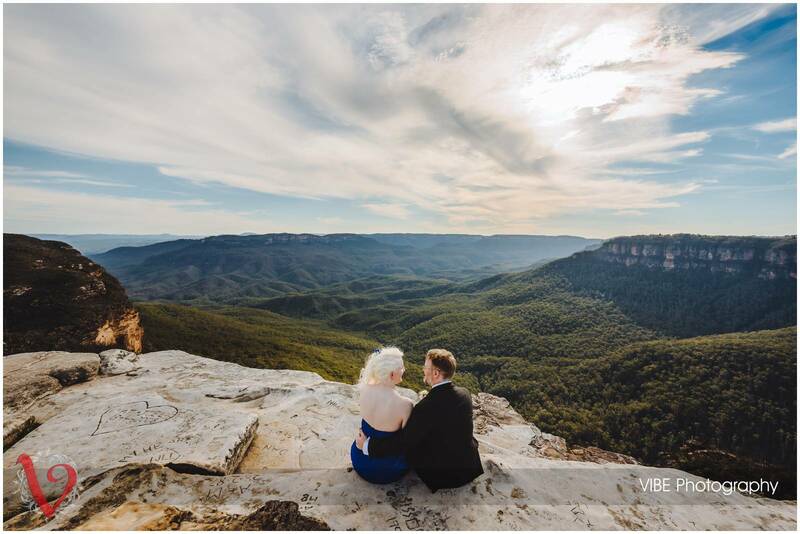 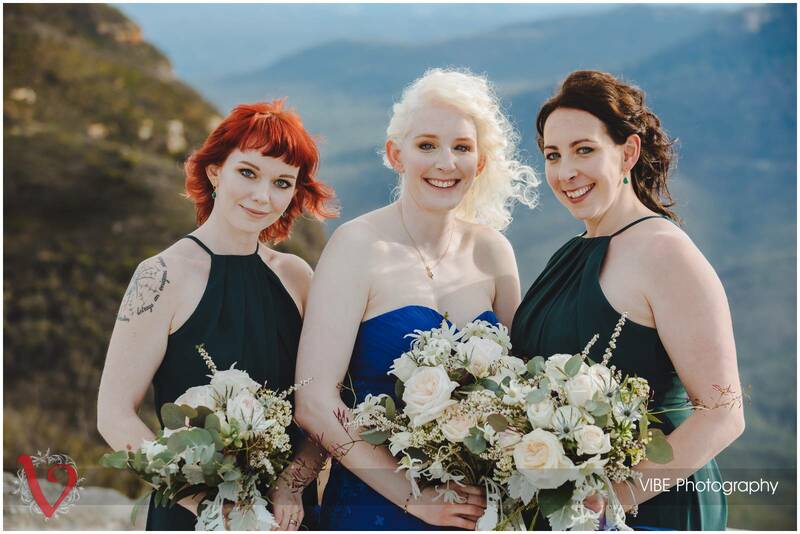 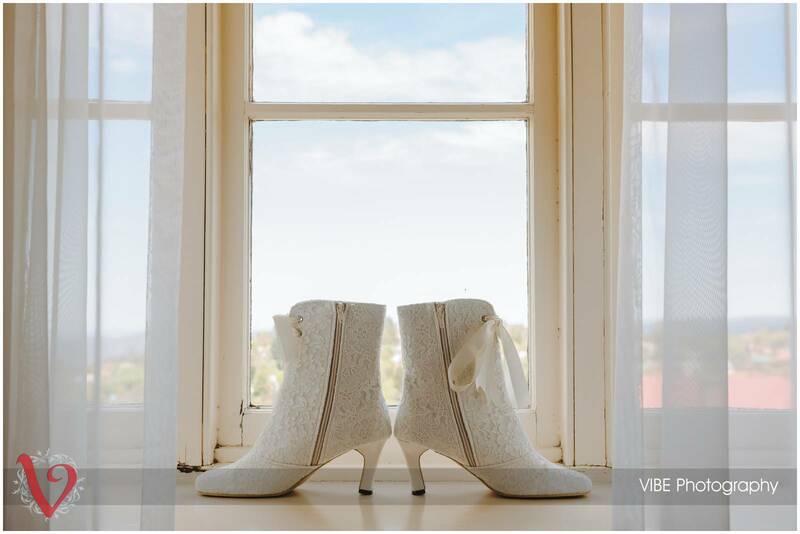 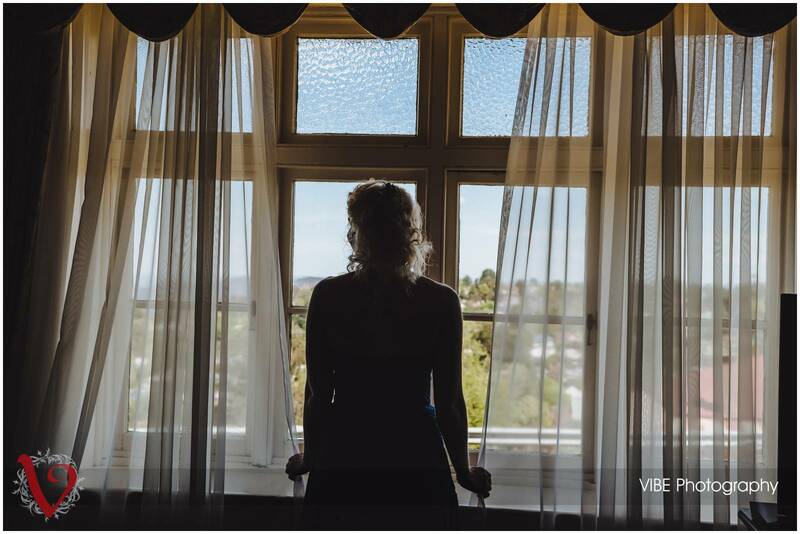 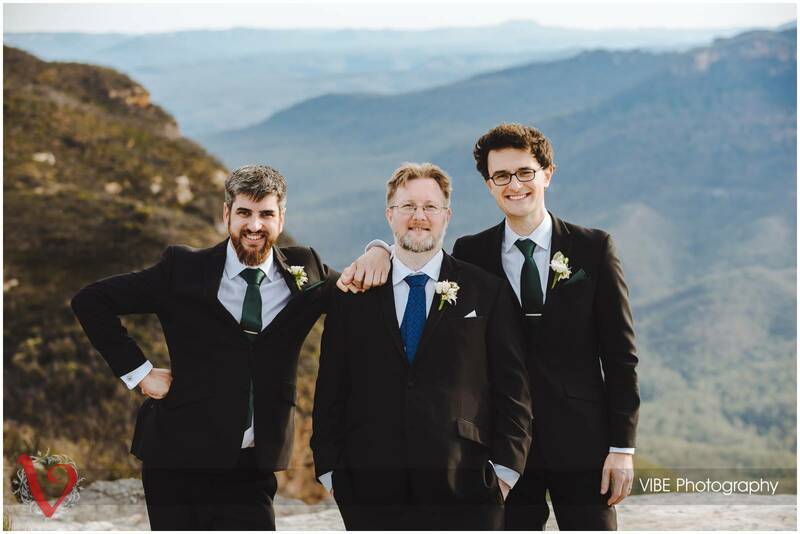 While I have photographed weddings all over NSW a couple interstate and even one over seas for some reason the Blue Mountains has been an elusive area for me when it comes to weddings. 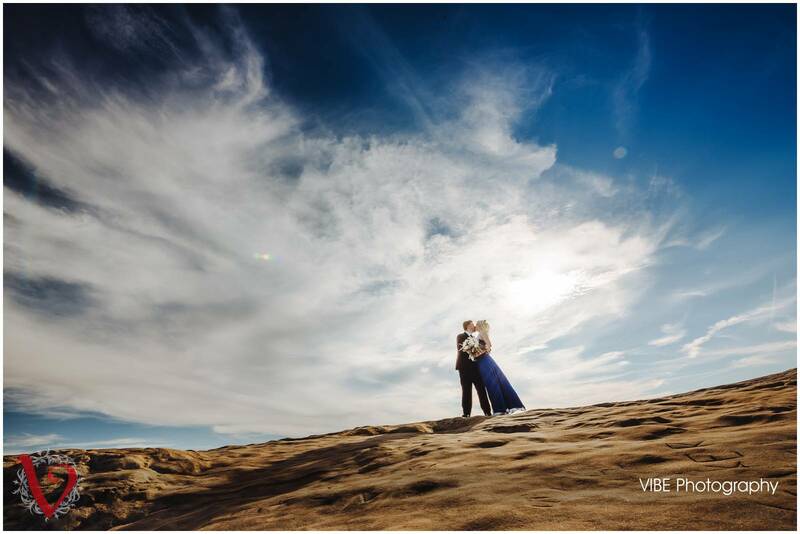 Emma and Andrew who themselves live overseas in Sweden had to plan everything from afar. 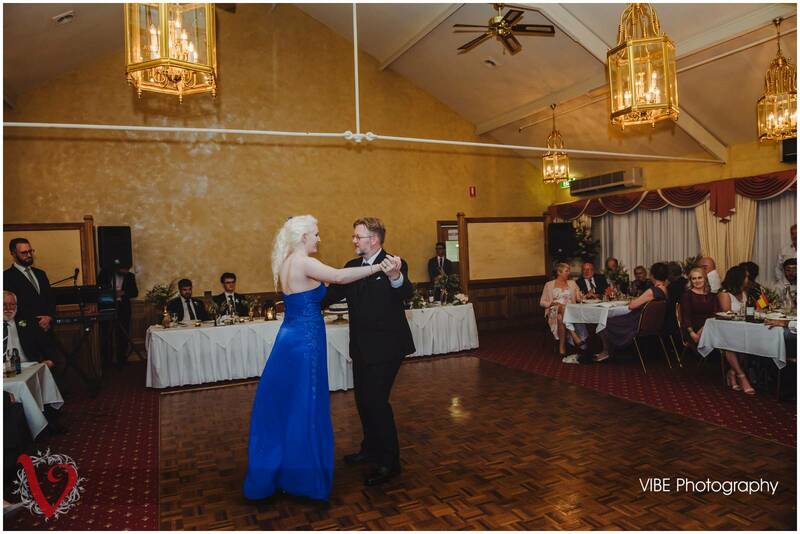 The Mountain Heritage Hotel was the setting for most of the day. 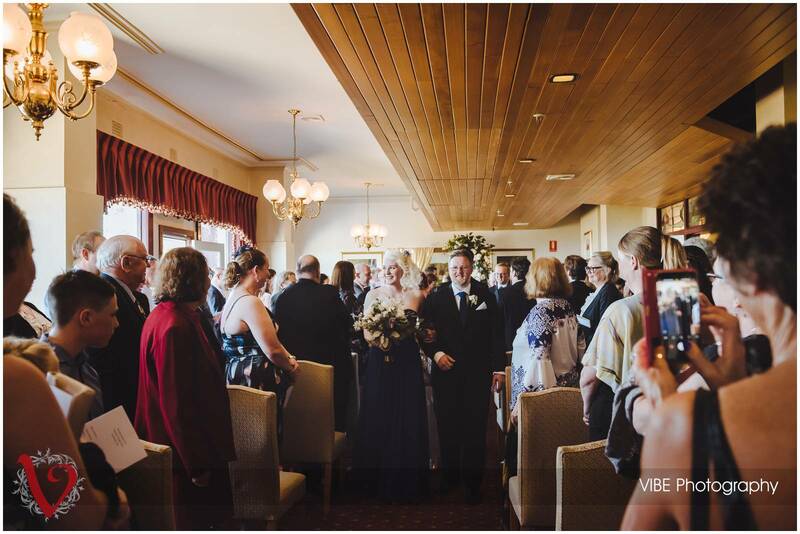 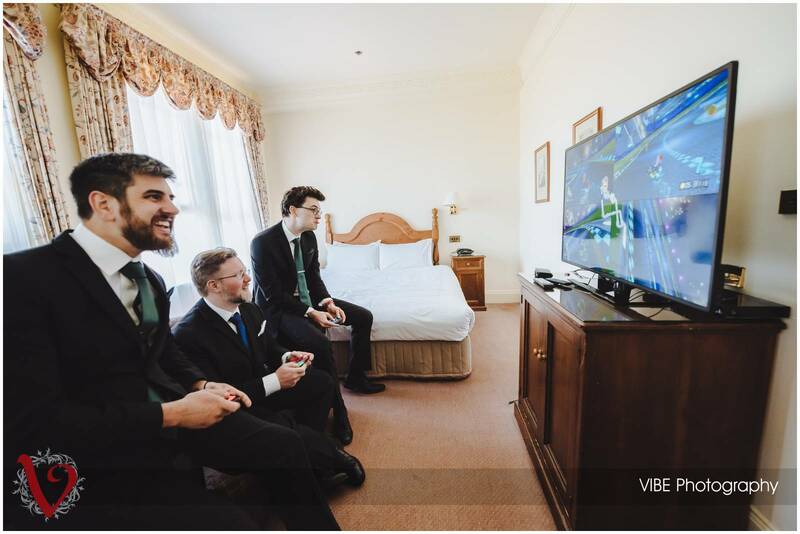 They both used this venue to get ready before the ceremony and we had to be careful that they didn’t cross paths. 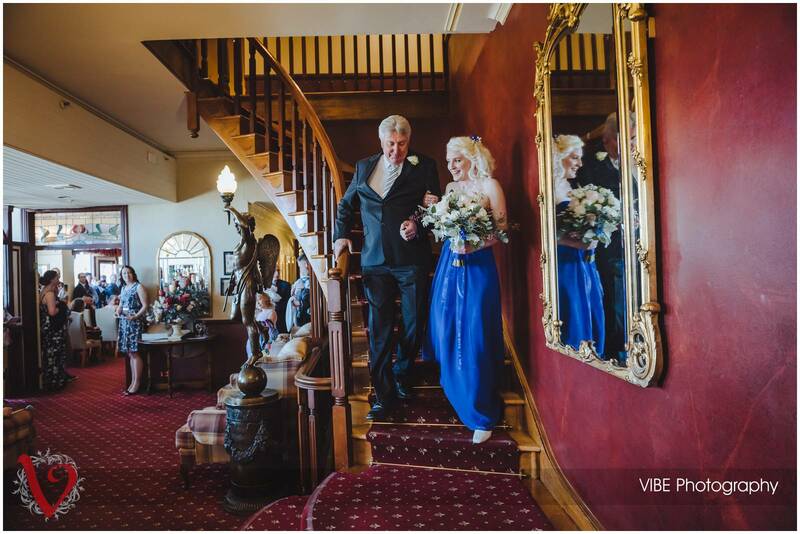 A grand staircase led the way for Emma’s entrance into the ceremony and it wasn’t long before they were announced husband and wife! 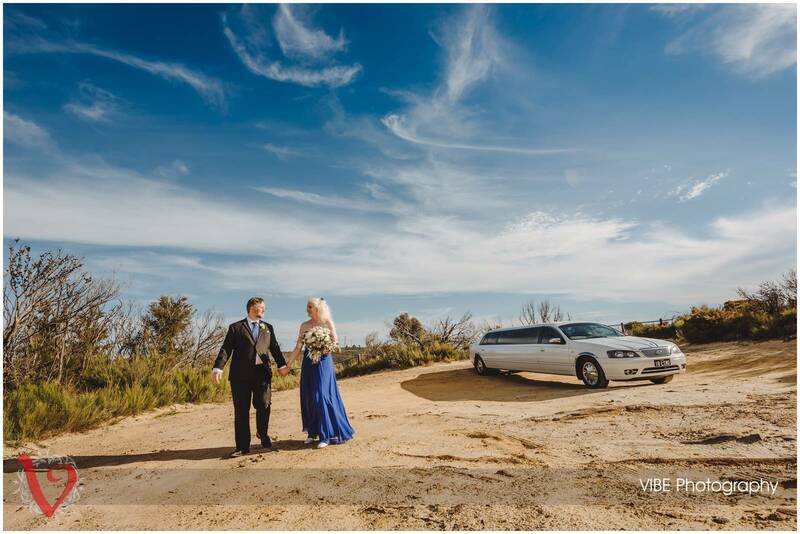 Lincoln’s Rock was chosen for part of their photo shoot. 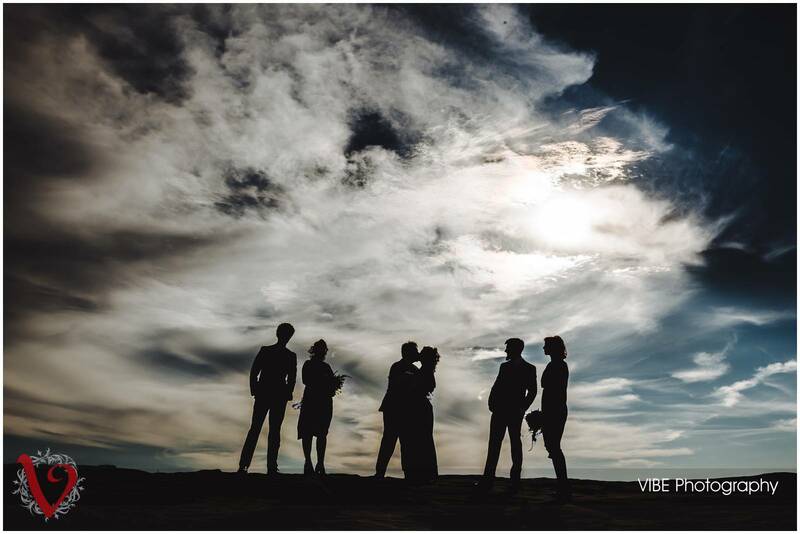 This popular tourist lookout also made for a pretty cool photo location. 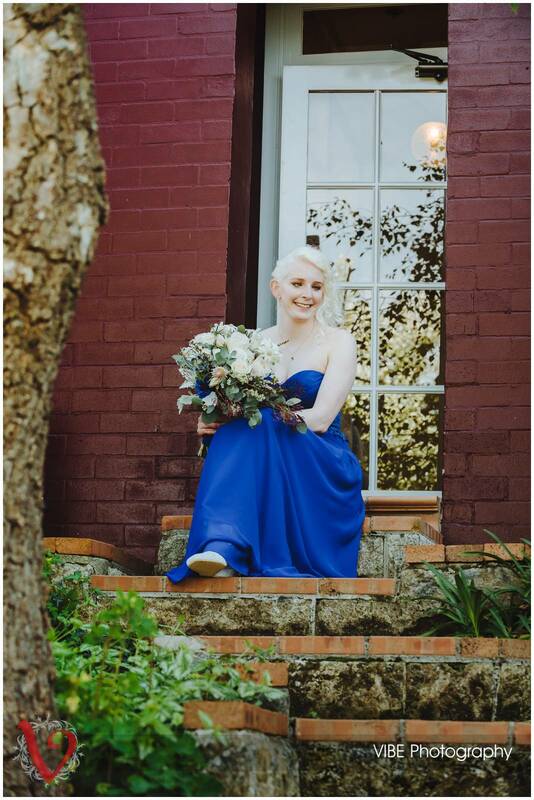 We returned to the Mountain Heritage Hotel for a few more photos in the garden before they made their entrance into their reception. 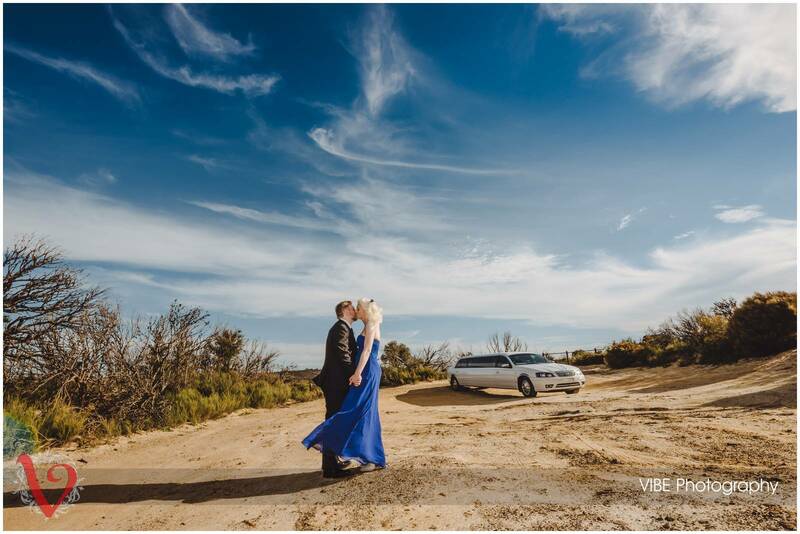 As a photographer it was great to head out somewhere new and Emma and Andrew both made my job easy. 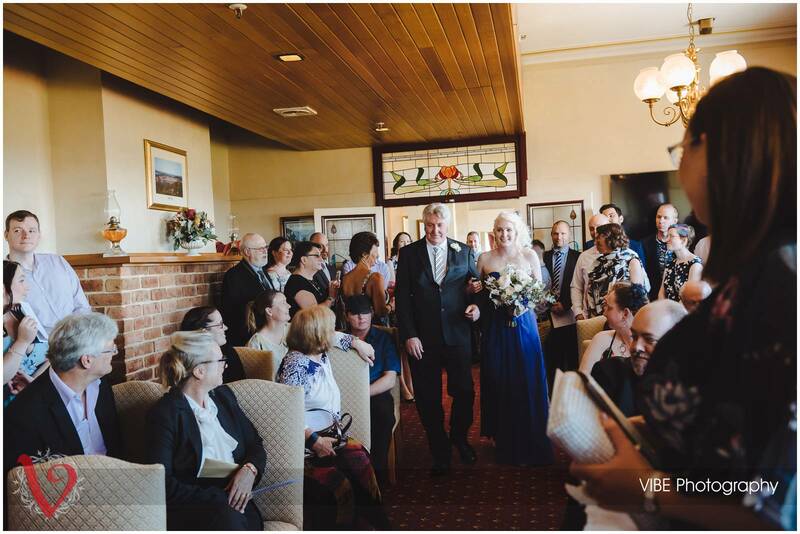 It was also great to catch up with Bec and Ian a year after their own wedding. 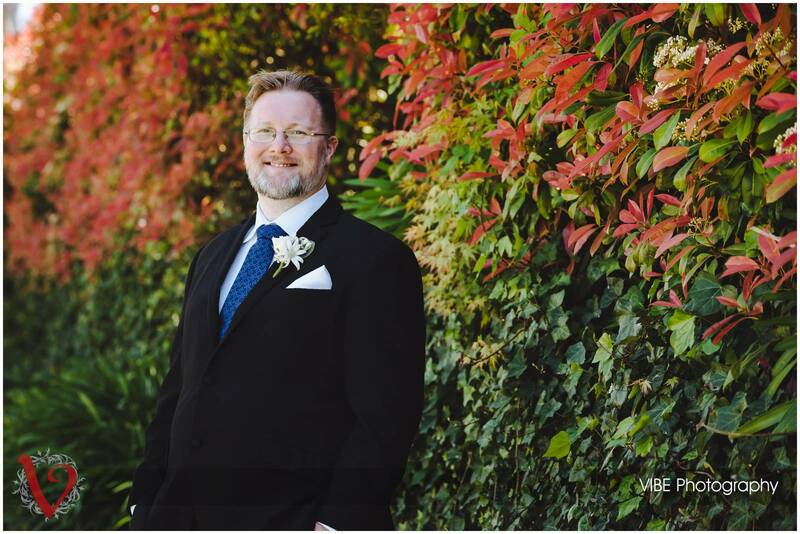 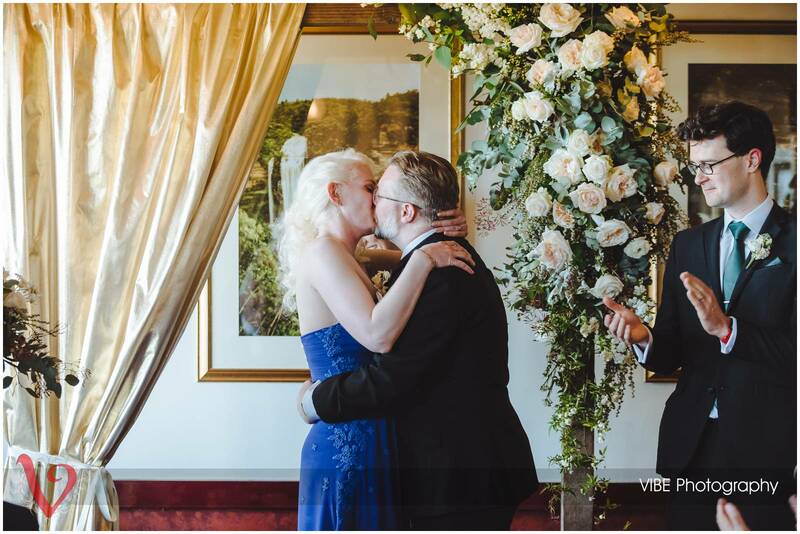 I am sure I will be seeing more of them too as Ian now runs Top End Limos (see link below) so I sure they will be a part of many weddings themselves. 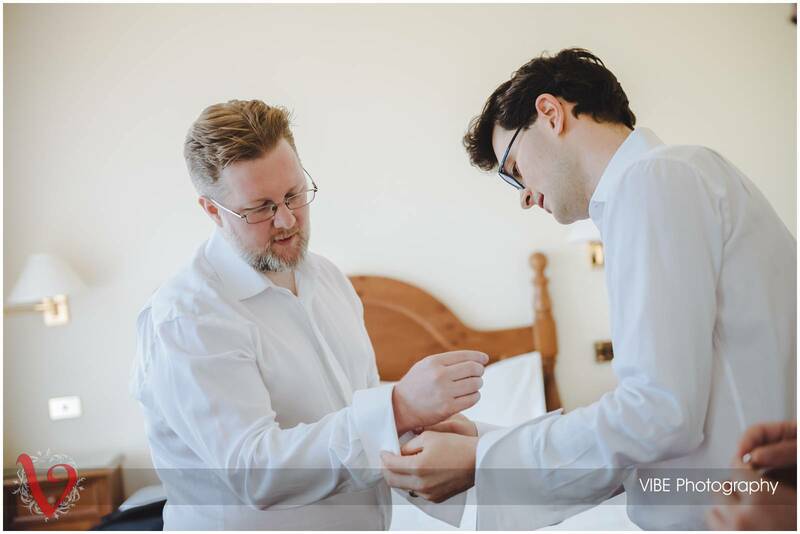 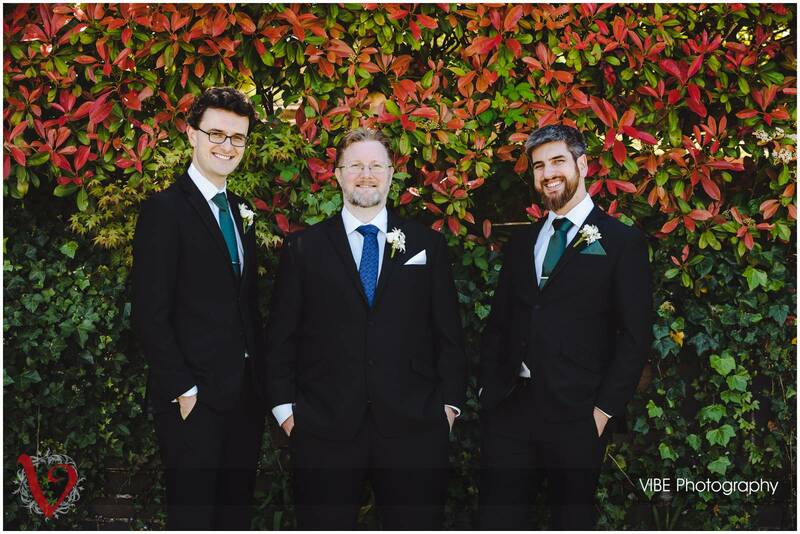 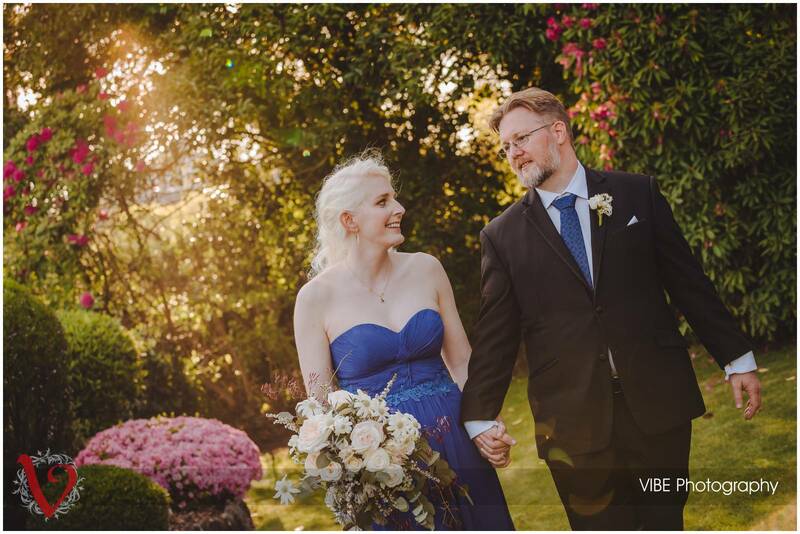 I have included just a few photos from Emma and Andrew’s special day but for family and friends who would like to see more, you can now log in to their online gallery HERE to access these images you will need your unique password. 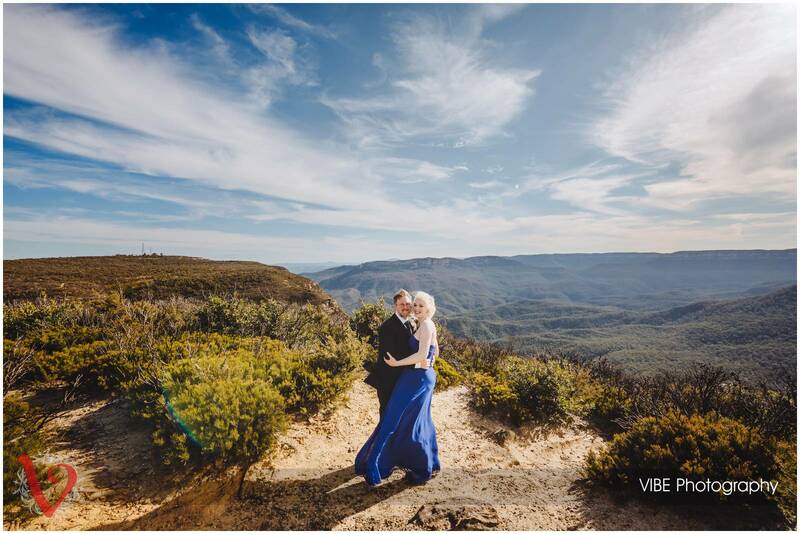 For everyone else I hope you love this small preview of Emma and Andrews amazing Blue Mountains wedding.